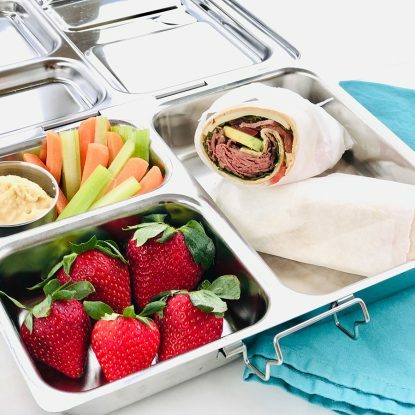 Making a healthy, filling, and portable lunch has never been more simple! 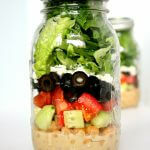 This Mason Jar Greek Salad is packed with tasty and nutritious ingredients that make saying no to fast food a breeze! Creating a healthy and delicious lunch can be difficult. It’s so convenient to stop for fast food, purchase a TV dinner, or boxed lunch. Problem is, most of those foods don’t have the nutrients you need to fuel your body. 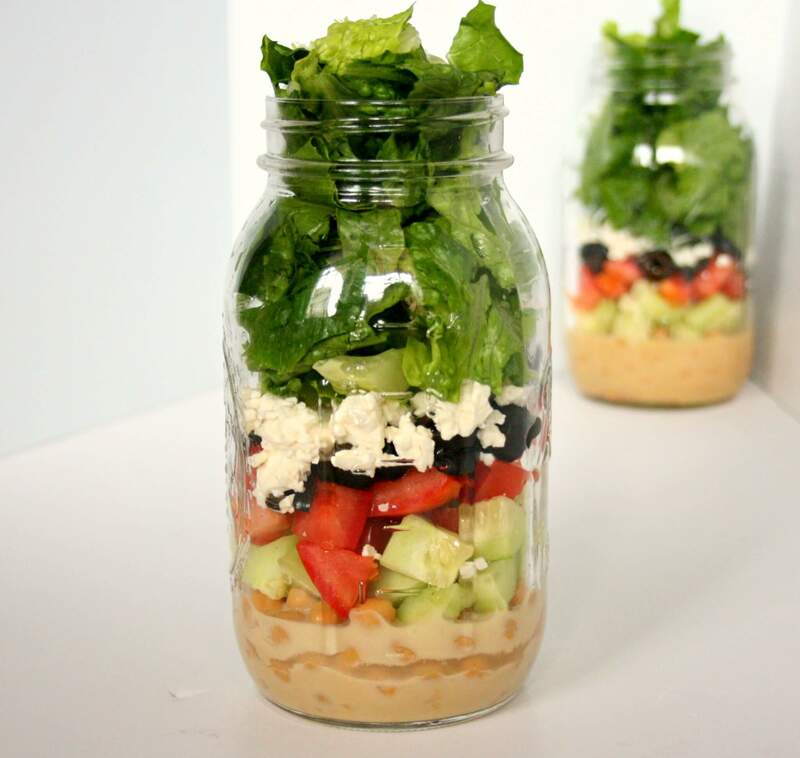 That’s why these Mason Jar Greek Salads are so wonderful. This one jar is packed with protein, veggies, and fiber that will help power you through the day. 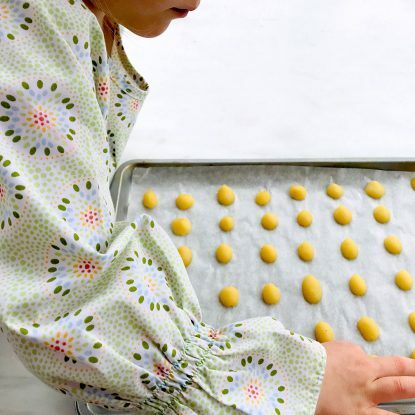 Best of all, there is minimal clean up and you can make them ahead of time. Before I started making my salads in a mason jar, I had a difficult time transporting my dressing. It always seemed to leak out and cause a huge mess. Not anymore! The mason jar allows you to separate the ingredients so your water absorbent veggies don’t get wilted and no separate dressing container is needed. These salads can be made anywhere and can be customized to your liking. 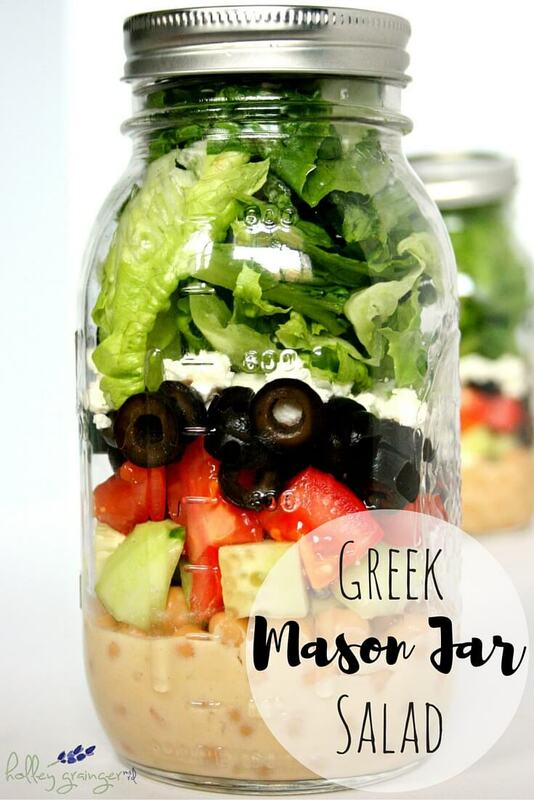 So whether you have a full sized kitchen or you live in a dorm room, making these Mason Jar Greek Salads are a breeze. 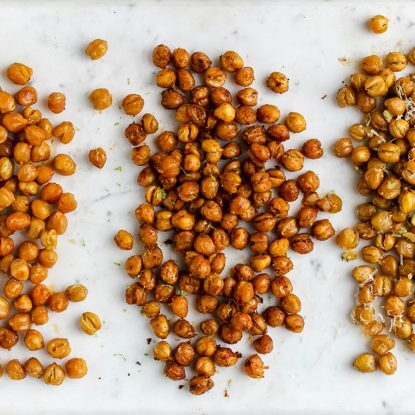 Experiment with different beans, fruits, nuts, seeds, grains, and veggies to create a unique salad for every day of the week! 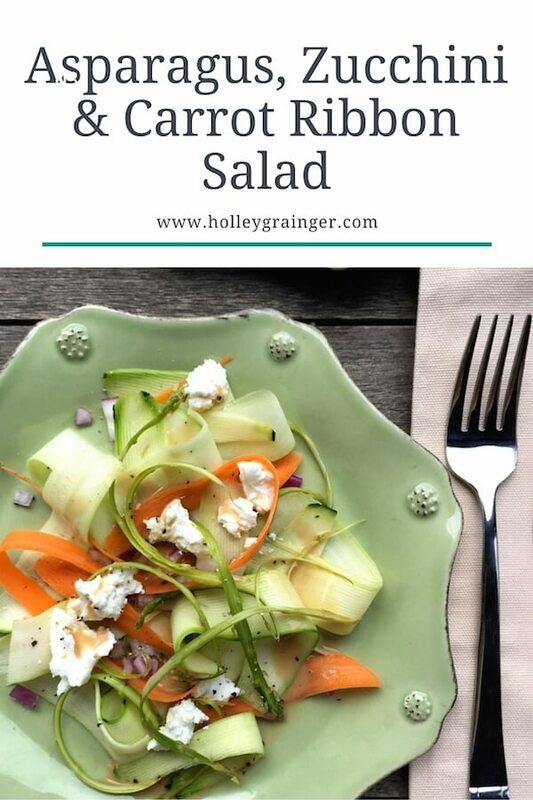 Check out one of my favorite salad recipes! In a small bowl, whisk together hummus, lemon juice, minced garlic, and salt. Add water, if needed, to thin out the dressing. 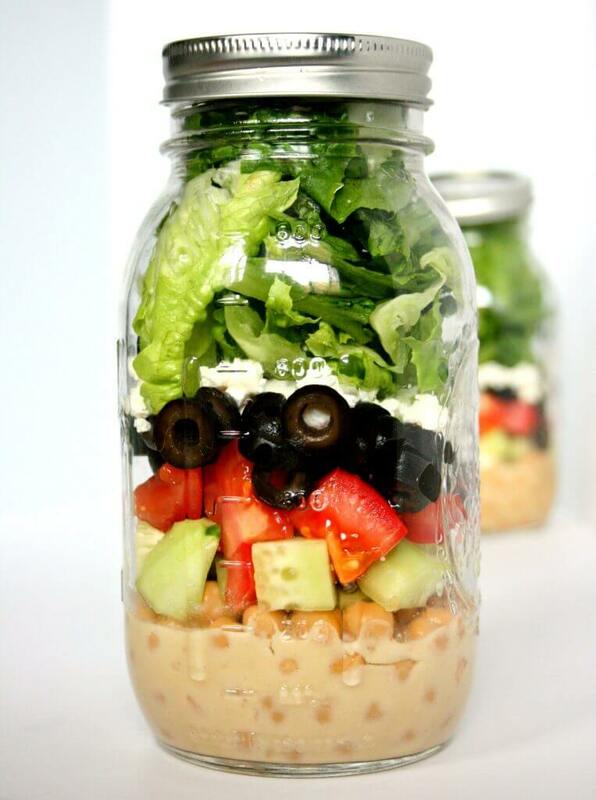 Pour dressing in the bottom of the mason jar then begin to layer your salad. Start with the chickpeas, then the cucumber, tomatoes, olives, feta cheese, and lettuce. Place the lid on the mason jar and store in the fridge. Salads will keep for about 3 days. Great idea Holley! Love the color and simplicity! Now for them to make a Bento Box to put this in for the girls lunch next year! I know! Maybe I need to develop one! Want to try this recipe but eanted to know the calorie count for the Greek salad?